With 32.5+ million Twitter followers, Bruno Mars is a fan favorite. On August 12, Bruno Mars performed at The Palace of Auburn Hills in Michigan. Bruno Mars announced his $1 million donation live at this concert while performing on the 24k Magic World Tour in Auburn Hills, Michigan. While the band played “Just the Way You Are”, Mars thanked the crowd for their love and support. Then he received a roar of applause. Since 2014, the Flint water crisis has affected thousands of Michigan residents. Due to inadequate water treatment, Flint’s water is hazardous and unsafe to drink. Mars’ $1 million donation will go to the Community Foundation of Greater Flint. Mars donated this sum of money to aid the victims of Flint, Michigan and help resolve the water crisis. 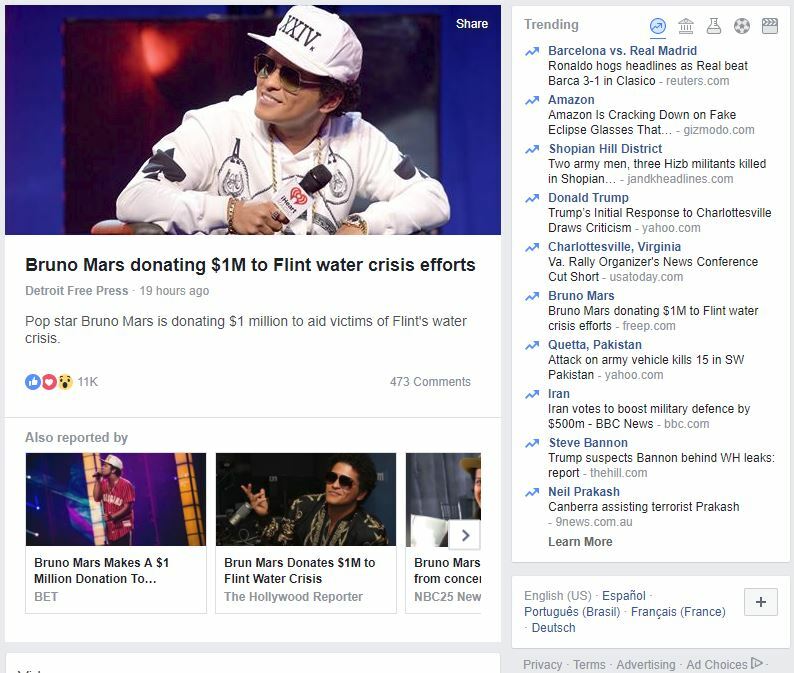 As a result, Bruno Mars was featured on Facebook’s trending topics list.